A VR Panorama (VR for Virtual Reality) is a specially created computer image that goes all the way around the viewer. It is a revolutionary way to document a particular place and time - the next best thing to being there. VR panoramas are interactive. 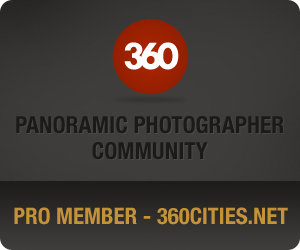 Use the mouse+click to rotate the panorama, use mousewheel to zoom in and out. Subscribe our news by e-mail !